Who’s Responsible for Water Damage: Tenants or Landlords? 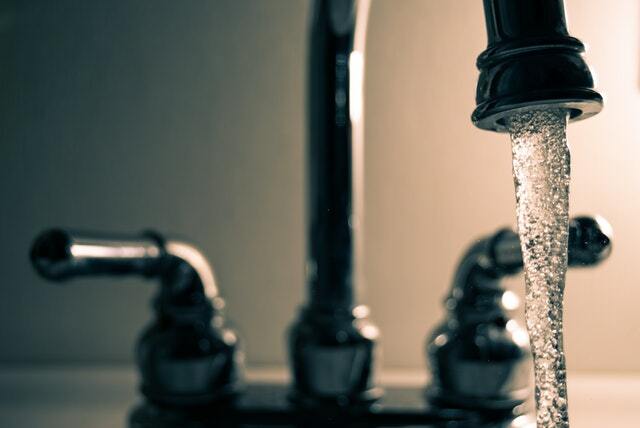 Water may cause serious damage in a rental property. Both tenants and landlords are sometimes confused over the responsibility for such damages. The question being: who exactly should pay for the trouble? In this article by professionals of Dawson PM, we’ll take a closer look at the main responsibilities of tenants and landlords concerning water damage. 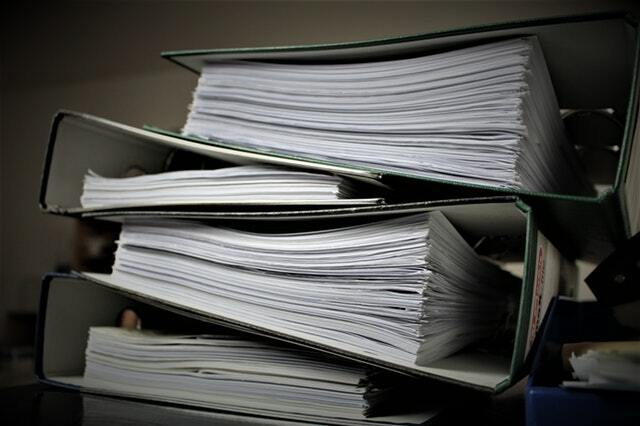 While you should check for state-specific legal differences, these general guidelines will help you understand the whole situation a bit better. How to spot signs of water damage? Damage doesn’t always result from water violently gushing from broken pipes. Sometimes water damages accumulate slowly and subtle signs grow into something more serious. Brown spots are typical symptoms of water making its way into places where it shouldn’t be. The discoloring results from the brown surfactant that’s used to bind paint. Water releases this surfactant, making the damaged areas look ugly. Also, you could easily smell strange odors or spot changes in the surface textures. The smell comes from mold growth. And the texture changes can be anything from cracks and bubbles to bends and warps. When you start noticing subtle signs of water damage appearing in the rental space, then contact your landlord immediately and try to work out the root causes. Having detailed contracts will help minimize endless arguments. When your rental contract isn’t covering enough of the possible risks and situations, then turning to the law is the next step. This route is always more costly compared to ensuring clear agreements starting from the beginning. At the same time, it’s inevitable that you won’t be able to define every circumstance in the contract. 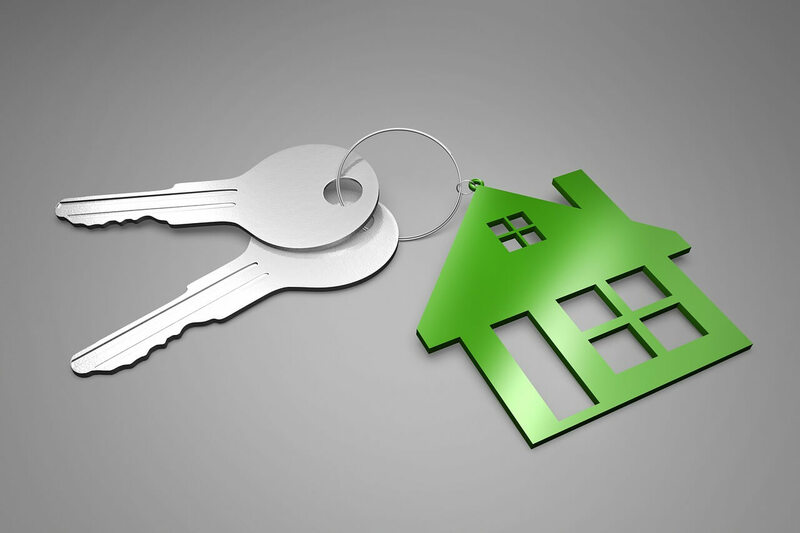 Most problems need common sense and knowledge about the local laws regarding landlords’ and tenants’ responsibilities. When are the landlords responsible for water damage? All landlords need to make their rental spaces habitable and safe. Pipes, plumbing, and roof leaks are all part of the rental space. Any lack of maintenance invites trouble. Of course, your landlord is responsible for the proper maintenance in order to lower the risks of potential water damage. minimize or completely remove the landlord’s responsibility. Keeping this risk in mind allows you to make better decisions when faced with an unexpected water emergency. While the landlord is accountable for keeping the rooms habitable, the tenant should do everything to prevent additional damage. One of the pipes starts to leak? Yes, it was the landlord’s responsibility to keep the pipe system properly maintained so this wouldn’t happen. Still, part of that responsibility is passed on to the tenant when the water emergency situation unfolds. You need to immediately alert the landlord and keep any of your personal possessions from getting further damage. Taking a passive approach would mean a significant risk that the landlord wouldn’t have to reimburse the damage to your personal belongings. When are the tenants responsible for water damage? Not all water emergencies have anything to do with the landlord’s neglect. Imagine that you are away on a trip aboard and one of your relatives leaves the bathtub faucet on for so long that the water flows all over the floor. When he discovers the accident, a few hours have passed and the water has even damaged the ceiling below. In this case, the landlord assumes absolutely zero responsibility and the tenant must pay for the damages. Overflowing toilets are common culprits for water damage. But who pays for the consequences? In these cases, you have to understand why the toilet started to overflow. If the pipes were in a bad state, then the landlord must pay up. When the tenant just clogged the toilet by flushing facial tissues, condoms, or tampons, then the landlord isn’t held accountable for the resulting expenses. Renter’s insurance provides a nice backup strategy. Typically, this insurance isn’t an actual requirement, but it can make your life easier. In some circumstances, the landlord has the right not to pay for anything if they can prove the damage occurred because of the tenant’s negligence. Having a good renter’s insurance plan lessens worries about unexpected accidents that might make a serious dent in your wallet. So, Who’s Responsible for Water Damage: Tenants or Landlords? Serious water damage wrecks properties and all the possessions inside. More subtle cases need attention as well: mold, brown spots, and strange smells need to be sorted out. Landlords need to keep the place habitable and safe. This principle covers proper maintenance to remove the risk of extensive water damage. That said, accidents happen, and tenants might find themselves in situations where they have to cover the costs. Renter’s insurance is a smart way to lower these risks. And even if the landlord is responsible for the water damage, it’s up to the tenant to immediately alert about the issue. House fires are every homeowner’s worst nightmare. Fires can start in an instant, spread quickly, and cause severe damage to your home and belongings. Fortunately, many fires can be prevented. October is National Fire Prevention Month, which makes now the perfect time to get up to speed on what you can do to keep your home and your family safe from fires. It will only take a few minutes to develop strong fire prevention practices and an effective emergency response plan for your home. The best way to protect your home from fire damage is to make sure a fire never starts in the first place. Preventing a fire requires looking through your home for potential hazards and looking at your own habits for risky behaviors. Install smoke detectors in every room of the house and test them monthly. Consider installing fire sprinklers. In homes where sprinklers were present, 97% of fires are contained to the room they start in. Always clean your washer and dryer, paying close attention to any lint screens. Use caution with gasoline and propane tanks and equipment in the home. Keep matches and lighters where children can’t find or reach them. Store combustible materials in well-ventilated areas away from heat sources. Keep fire extinguishers in rooms where fires are likely to start, like the kitchen or rooms with a fireplace. Make sure the fire extinguisher has not expired. Many fires are caused by preventable mistakes. According to FEMA, one out of every three house fires starts in the kitchen. 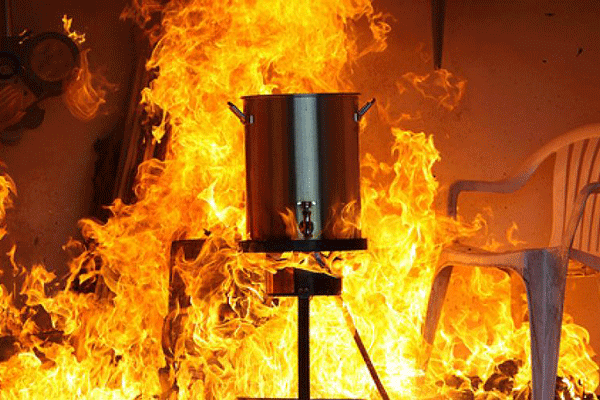 Unsafe cooking practices and leaving the oven or stove unattended are often the cause of kitchen fires. Always stay in the kitchen when you are cooking food. When using oil, especially when frying, avoid moving the cooking vessel and throwing food into it—doing so could cause oil to splash onto the hot stovetop and start a grease fire. Make sure anything that can catch fire—things like dish rags, curtains, and paper towels—are far away from the stovetop. When cooking in the oven always set a timer so you don’t forget about your food. Keep a lid nearby when cooking on the stovetop. You can use the lid to contain and smother small grease fires before they spread. The National Fire Protection Association says Christmas, New Year’s Eve, and New Year’s Day are the top three days for candle fires in the United States. Roughly 8,700 structure fires were caused per year by candles from 2011-2015, resulting in $295 million in annual property damage. Always blow out candles when you leave the room and never burn candles in the bedroom or when you may fall asleep. Keep candles a minimum of 1 foot from anything flammable. Make sure you use sturdy candle holders placed on a sturdy surface like a table. Never let candles burn all the way down to their holder. Don’t use candles when the power goes out. Have flashlights or battery-powered lanterns ready for use instead. Never light candles if oxygen tanks are used in your home. Keep lit candles out of the reach of small children and pets. Electrical distribution and lighting equipment are the #1 cause of direct property damage and the #3 major cause of home fires. Between 2011-2015, 34,000 house fires per year were caused by electrical systems or lighting. To prevent electrical fires, it is important that all electrical work in the home is done by a qualified electrician. This includes installing new outlets, running wire, and inspections when buying or remodeling a home. Replace all frayed or exposed wires and loose plugs. Always call an electrician if you frequently blow fuses or trip circuit breakers in your home. In addition, contact an electrician if you feel a tingling sensation when you touch an appliance, an appliance produces a burning or rubbery smell, or lights flicker or dim. Also watch out for discoloration or sparks from wall outlets. Extension cords can cause electrical fires. This is especially true when they run across doorways or under carpets. This increases the likelihood of extension cords becoming damaged. If you are using extension cords in the home, consider having an electrician install more outlets in your home. Never overload an outlet or extension cord, especially when using high-energy appliances like toasters. The winter brings cold weather, and with it heating fires. Almost half of all heating fires in the U.S. occur from December to February. Over a four-year period, heating fires caused 480 deaths and $1.1 billion in property damage in homes across the country. Heating equipment that can cause fires to include furnaces, wood stoves, fireplaces, and portable space heaters. Keep anything that can burn at least 3 feet from heating equipment. Always have professionals install equipment like water heaters or central heating. Use stationary heating equipment in accordance with local building codes and manufacturer’s instructions. Have heating equipment and chimneys inspected and cleaned annually. Always use the right fuel for fuel-burning heaters. The manufacturer’s manual will tell you which fuel to use. Always turn off space heaters when leaving the room or going to bed. It is a good idea to use a space heater with a timer function and automatic shut-off switch for if it is accidentally kicked over. When using a fireplace, use a screen to stop sparks from flying into the room. Allow all ashes to cool before putting them in a metal container for disposal. What to do when there is a fire in your home? You should always have a plan in place before a fire starts. Make sure everyone in your family knows what to do if there is a house fire. It helps to draw a map of your home with every door and window marked. Know two ways out of every room and make sure all doors and windows are easy to open. Establish an outside meeting place a safe distance from the home, like a mailbox or tree. Once you have a fire escape plan in place, practice it. You should practice escaping from a house fire twice a year, at night and during the day. Make sure children are capable of escaping from the home on their own. If there are elderly, infants, or people with mobility issues in your home, assign one member of the household to help them escape. If you have pets in your home, consider getting a front door or window decal that will tell firefighters how many dogs, cats, birds, or other animals are in the home. Get out of the home as quickly as possible when you hear a smoke alarm. Stay out of the home and never go back in to look for people or pets. Once you are safely out of the home, call 9-1-1 or get a neighbor to call the fire department. If there is smoke, stay low to the ground to prevent smoke inhalation. When leaving a room with a fire in it, close the door behind you to contain the fire. If you are trapped in a room with a fire outside, feel the door and only open it if it is not warm. If a fire is blocking your escape route, close all doors between you and the fire. Wave a white sheet out of your window so firefighters can see you and rescue you when they get there. This may be the best plan of action for people living in high-rise apartment buildings. Ultimately, you are responsible for keeping your home and family safe from a fire. By using fire-prevention tactics and fire-preparedness training, you can stop an accident from becoming a tragedy. Remember to make regular checks of your home to make sure all rooms are fire-safe and discuss fire safety with your family on a regular basis. When attempting to dry your hardwood floors in your home, the most important factor is time. If you arrive home shortly after a dishwasher leak, and the water hasn’t been sitting on your wood floors for too long, then there is a good chance we can save your floors. However, if you arrive home to find extensive damage to your wood floors to the point of cupping or crowning, your floors are likely no longer salvageable. Time is of the essence when it comes to water damage on your wood floors. 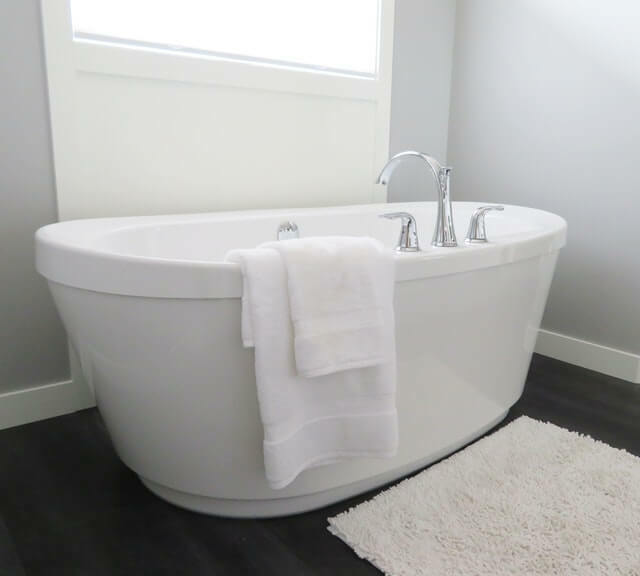 So if you arrive home to find water on your floors but decide not to do anything for a lengthy period of time, you are putting all your wood floors at risk. 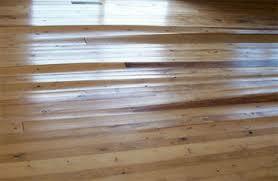 The first step in saving your hardwood floors is to remove any standing water on the floors. After all standing water is removed, now we have to remove the water that has seeped into the floorboards and subfloor. This can be very difficult, luckily Professional Restoration Services has specialty drying equipment designed to dry hardwood floors. 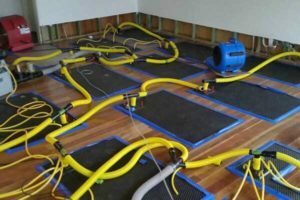 To remove the water trapped in the floorboards and below you place the special floor mats of the Injectidry System on the affected wood floor and connect the floor mats with a hose to the “vacuum” like machine. This system will use a suction-like process to draw the water droplets from the subfloor through the floorboards and eventually removing all excess water in your wood floors bringing it back to its dry standard. Do you believe you have mold in your home? Are you seeing signs of allergies and believe it’s because of mold growth in your home? 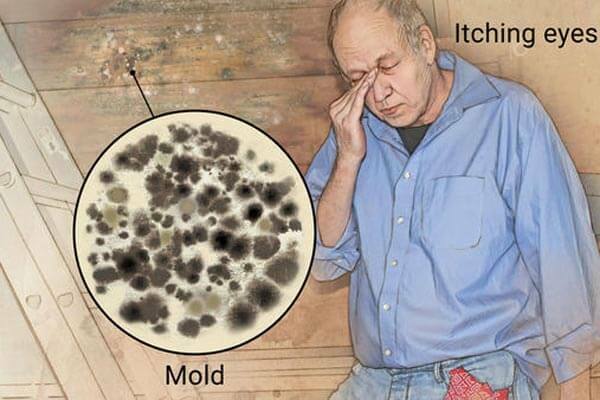 Being exposed to mold (at work, home, or outdoors) causes the immune system to overreact and can be more harmful to elderly adults, young children and anyone with a compromised immune system. Use central air conditioning with a HEPA filter attachment. This can help trap mold spores from spreading in your home. Freestanding air cleaners are helpful but they also only filter air in a limited area. Filtering air in one area will not prevent the mold spores from spreading in your home throughout your HVAC. Lower your indoor humidity. One of the key ingredients for mold growth is water, if you eliminate the moisture needed for mold as a result you reduce the possibility of mold growth. If indoor humidity is above 50 percent, fungi can grow. A hygrometer is a tool used to measure humidity. The goal is to keep humidity below 45 percent, but below 35 percent is better. If you have to use a humidifier, clean the fluid reservoir at least twice a week to prevent mold growth. Air conditioners and dehumidifiers can also be a source of mold growth. If you have an allergy that occurs over several seasons, you may be allergic to the spores of molds or other fungi. Molds live everywhere and upsetting a mold source can send the spores into the air. Once airborne the mold spores can get into your nose hairs, lungs and cause mold allergy symptoms as listed above. Inhaling the spores causes allergic reactions in some people. Allergic symptoms from fungus spores are most common from July to early fall. But fungi grow in many places, both indoors and outside, so allergic reactions can occur year round. Many Businesses in Raleigh received a tremendous amount of water damage on Saturday, October 8, 2016. As of October 9, many are still without power. Rivers, creeks, and streams in Raleigh overflowed with water, unable to drain the water away fast enough. Raleigh received 8.5″ inches of rain and there was even more in Wendell. We are one of the few water restoration companies in the area with a North Carolina State Contractor’s License. This means we can tackle larger jobs and commercial jobs, even where there is over $10,000 in damage. We are also locally owned and operated and our primary job is removing water from triangle area homes and businesses. For more information call our 24hr hotline or feel free to check out our Raleigh water damage page. If you received water damage near Crabtree Mall, Glenwood Ave, Creedmore Rd, Gorman Street contact us today. 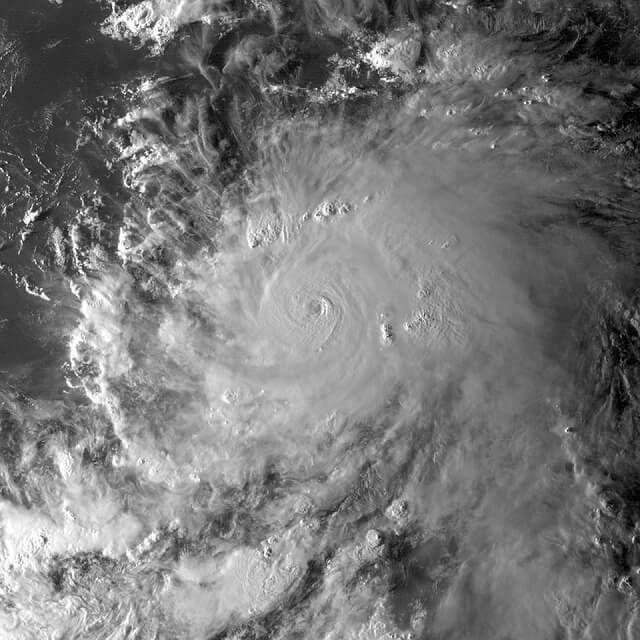 Does Homeowners Insurance Cover Damage from Hurricane Matthew in the Triangle? Homeowners in Raleigh, Cary, Holly Springs, Apex, Durham and Chapel Hill have been calling in to as about damage from the latest storm to roll through central North Carolina, Hurricane Matthew. Many people in the area have moderate home damage. If you have wind or water damage contact us today, especially if you have water damage which will only get worse as time goes on. Our 24hr hotline is 919-467-1991. This depends. Most homeowners policies will cover wind and water damage. However, you have a deductible that you will need to take care of as well. If you have water damage that may merit a claim contact us today. If you have wind damage which may merit a claim contact us today. Alternately, some homeowners call their insurance company first. This is usually how we meet you- after the insurance company dispatches us. This is because we work with almost every carrier in the area. There are, however, often benefits to contact us first. Feel free to call with any questions which you may have. Much of the reports we have so far are from downed limbs and water damage. Raleigh experienced wind gusts up to 65MPH and received about 8in of rain. The damage was not as bad as it was in Fayetteville NC but was still extensive. Don’t waste money on the special cleaning logs at the grocery store that claim to clean the inside of the chimney, because they don’t work. Instead hire a professional chimney cleaning service that can actually remove the dangerous creosote buildup. Never leave a fire smoldering when going to bed at night. Always make sure that it’s completely extinguished, otherwise the embers may throw sparks and cause a fire. Always use a safety screen in front of the fireplace, because wood can crackle and pop while burning, which can send hot embers flying out onto the floor around the hearth. Don’t throw flammable items like newspapers and wrapping paper onto the burning logs. Even though it’s fun to watch the flames roar and burning paper float around, the risk of spreading the fire to places other than the fireplace is significant. Outdoor fire pits should be kept at distance from the house. Even though it may mean longer walks back to the kitchen to get more beer or marshmallows, at least you’re more likely to still have a kitchen should something go wrong. If you’re having trouble getting a fire started, never, EVER use gasoline as a fire starting aid. Never pile extra wood on top of a burning fire in an effort to avoid getting back up to put more on later. Adding too much fuel to the fire can cause the flames to get out of control, and it may be too hot to approach when it comes time to manage the growing fire. Even though they cast a soft romantic glow, only burn candles in moderation, and never leave them unattended. Stove tops and ovens shouldn’t be used as extra storage space, especially gas burning units. The pilot lights burn continuously, and it’s easy to forget there are items in there when turning on the oven to preheat. Open windows in the kitchen can allow fresh air to blow through, but that breeze can also send paper towels and napkins flying into the open flames of a gas stove top. Keep the windows closed when the fires are lit. If you have experienced smoke or fire damage in your Raleigh / Durham / Chapel Hill / Cary home contact us today. In addition to being restoration specialists we are North Carolina licensed general contractors who can tackle any job. 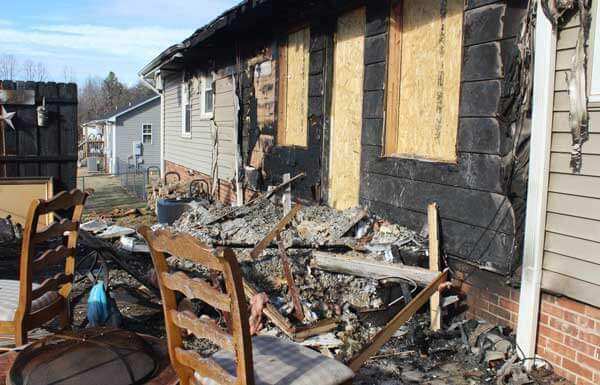 Professional Restoration Services can help homeowners that have had damage done to their homes by fire or water, even under the worst circumstances. But in order to achieve the best results it’s important that they contact us immediately after the fire is extinguished. The smoke and ash residue left behind mixes with the water used to put out the fire and turns into an acidic, black mess. This acid can further damage any surface that it’s in contact with, making a bad situation even worse. The only way to prevent further destruction of the home and it’s contents is with a thorough cleaning, using professional grade chemicals designed to neutralize the acid and stop it from reacting with the walls, floors, ceilings, furniture, appliances, and other personal belonging. This type of clean up isn’t easy, and isn’t something that a typical home or business owner is equipped to handle on their own. The restoration technicians at PRS are trained and experienced professionals with access to special equipment and cleansing products designed specifically to handle smoke and ash damage. Even though the fire is out, the immediate urgency of the damage isn’t over. The ash residue is already working to further damage your home, which is why we are prepared to help 24 hours a day, 7 days a week. Our staff will show up quickly and begin working immediately on a full-scale cleanup. After a fire it is likely that smoke odors will fill the entire home, and we can provide equipment designed to not only vent the foul smelling air out of the house, but clean the source of the odor so that it doesn’t return in the future. This is a difficult task, and requires the used of thermal foggers and other sophisticated odor removal equipment. If your home has been damage by a fire, and you need help cleaning up the mess left behind, contact us today. We’ll work with you and your insurance company in order to keep the out of pocket costs to an absolute minimum. Your home will be completely restored back to it’s normal state in as little as a few days. If you have experienced smoke or fire damage in your Raleigh / Durham / Chapel Hill / Cary home contact us today. In addition to being restoration specialists, we are North Carolina licensed general contractors who can tackle any job. Smoke gets everywhere, even places the fire didn’t. But some places are more likely to have smoke damage than others, and some of them may be surprising. Because of hot air rises, smoke damage is most commonly found directly above where the fire burned. Unless there was a strong air current flowing through the building, a majority of the smoke residue is usually on the ceiling just above the fire. If the fire is near an open door or window, the rising smoke will damage the areas just above those openings. The hot air will collect near the ceiling, spread out towards the edges of the room until an opening it found, and the pour outwards and upwards, bringing black smoke and soot with it. Smoke damage can often be found in bizarre and unexpected places, such as inside closed cabinets, drawers, and closets, or other places that would appear to be closed off. The reason for this is a bit counter-intuitive. In the open areas around the fire, the heat generated moves the air quite a bit, which stirs up all of the microscopic particles that make up smoke and soot. But the air inside the enclosed spaced in much cooler, and less turbulent. This allows the particles to settle, creating the dark stains seen after a fire. Because smoke tends to collect in these cooler areas it’s common to find stains in places that are insulated, even slightly, from the direct heat of the flames. Smoke damage is often seen on walls covered with curtains, drapes, or even paintings. Rubbing your socks on the carpet generates static electricity, which can make your hair stand on end. Well, as smoke particles circulate in the air, they rub against one another and generate the same ionic forces. This causes them to cling to certain types of surfaces that attract charged particles, such as metal nail heads just below the surface of the walls or ceilings, or on cobwebs strung up in the corners of the room. Some synthetic materials, like plastics and pieces of vinyl, also collect free-floating smoke particles in the air. Like the old saying goes, out of sight, out of mind. Homeowners very seldom think about the insides of their air ducts, mostly because they are so difficult to access, and never see the light of day. But that’s exactly where the HVAC system is blowing all of the smoke and soot, where it’s going to settle. But every time the system turns on, some of those particles are going to be swept back into the air, and blown all throughout the house. Cleaning up smoke damage after a fire is a job best done by trained professionals. Call us today, 24/7, and well help you get started on recovering from damage after a fire. Following a fire, there is a lot of cleanup and rebuilding to be done. Anything that is sufficiently damaged by flames obviously needs to be replaced outright. But many items and surfaces in the home may not appear to be very damages at all. It’s easy to assume that they can be ignored, or simply treated with a mild cleaning. Unfortunately, this could not be further from the truth. After a fire, nearly every exposed surface through the entire house needs to be treated a cleaned thoroughly in order to prevent continuing damage, as well as the persistent smell of smoke that seems to linger forever. The are many reasons for this process, beginning with the chemical makeup of smoke and ash. Once they mix with water they become very acidic. Not enough to instantly melt your metal appliances, but enough to slowly corrode just about every surface in your home that comes in contact with the caustic mix. Not only does this need to be cleaned up quickly, but it needs to be cleaned up properly. Soap and water, or any other grocery store cleaner aren’t going to do the job correctly. Much of the obvious stain may disappear with enough scrubbing, the chemicals that will do the most damage will seep deep down into the floors, walls, ceilings, and any other porous surface where it will continue to eat away for weeks or months. Once they are soaked in, they will also cause nauseating odors to fill the home. Air fresheners won’t be able to cover the smell, and opening a window only blows away the small temporarily. To fix the issues, the source of the odor needs to be eliminated, which is just as difficult as cleaning the smoke damage. Smoke damage cleaning is, perhaps, the most complicated form of treatment for a homeowner to accomplish them. Not only does it take a thorough approach and deep remediation of nearly every surface in the building, it can only be done effectively if the areas behind the building’s walls receive treatment as well. This is a massive challenge to anyone but certified professionals, as these experts have the know-how, manpower, and equipment to complete the task properly. In some ways smoke is a lot of dust, as it’s incredibly fine particles of ash suspended in the air, waiting to settle onto any surface it touches. But unlike dust, smoke can permanently stain surfaces, and can’t be easily wiped away with a damp cloth. It may be tempting to cover these stains with a coat of paint, but that just buries the problem, it doesn’t eliminate it. The technicians at PRS are trained professionals that work around the clock to fix these types of issues quickly and permanently. We’ll show up fast and begin working, not just on repairing your home, but with your insurance company, too. It’s our goal to make sure that insurance will cover as much of the work as possible and to keep the homeowners out of pocket costs to a minimum.